Establishing or expanding retail department stores to new market requires in-depth knowledge and profound business study. The focus should be on crucial data such as: social dimensions, population taste, habits, life styles, financial capacity and historical spending trend of the targeted clientele. Furthermore, a highly professional and precise business plan should be the root of the final decision whether to proceed with the new venture or not. Defaulting or missing any of the detailed investigation and analysis of the subject matter may end up in fatal failure and the loss of millions of dollars and hundreds of employees. The main strategy for any firm is to create a concept that is so different and persuasive that it places competitors in very difficult situations and unable to copy or react to it, and then to apply that concept in such a way that core customers stay loyal. Another main method of the continuation of successful department stores is to maintain a distinctive offering that attracts an extremely loyal customer base. Exploring more of the base elements for a successful business is to have a clear vision that connects products to core customers. Successful execution of the business concept is another factor that is needed for business to flourish and carry on. By developing culture and a set of values, the business will keep attracting the core customers to its customs and traditions. The strong bond between the services/products offered and the core clientele of any retail department store means profitability and continuity of the business project. Celebrating the work success with customers gives them their sense of belonging, strengthens the loyalty to the store chain and toughens its root presence in the market. Other fundamentals that are significant to the success of retails departments can be summarized by crucial tips such as location — choosing your location is the most important step in making your dream of a successful department store come true, stocking shelves with merchandises — filling up the stores with products and commodities will positively give the clientele to more options of items choice, and keeping the theme of the chain stores. All these tips are crucial tools used in maintaining loyal customers committed to buying and promoting your business to higher levels. An illustration of the securing elements of success for department stores is the Wal-Mart success story. The chain store had come into the Canadian market with a strong concept of “discount.” It created a culture that has been appealing to its core clientele since then. In 1994, the year Wal-Mart first came onto the scene in Canada, it presented lines of products that competed, with great achievement, against their “rivals”. The chain has filled up the shelves with a great variety that is affordable for most social classes. Wal-Mart waited 12 years, until 2006, to open its first supercenter store. It took more than a decade for the establishment to expand in size, having studied the market thoroughly and experienced all its dimensions rigorously. In cases where big chain stores decide to move to a new market, one might think that the CEO would never sign off on the idea unless thorough “homework” has been done. However, this is not always the case. Some of the big names in the market may have their big move without proper groundwork and a detailed plan to address the requirements of the new venture. One of the risky steps that may be taken by big department stores is to expand fast, wide and large. Establishing numerous new stores in a wide geographical area in a short time period puts tremendous pressure on the operational system of the new outlets. Such a huge move requires high management skills, effective marketing approach, competitive pricing, efficient distribution centers, and strong human resources that execute the work timely and fashionably. A clear example of a big fiasco that reflects the ill business decision making of random expansion on lose ground was the failure of Target in the Canadian market. In 2013, Target took a bold decision to expand internationally from the States to Canadian soil. The chain store had in mind that Canadians have been cross-border shopping from its department stores for years, so why not moving to Canada and offering direct services to its loyal clientele. Under the shadow of $4.4 billion expansion plan, Target bought more than 120 Zellers stores from the Hudson Bay Co. in 2011. In less than two years, the huge Target chain stores announced that they are pulling out of the market by the year’s end, incurring a loss of two billion dollars. Many experts had begun analyzing and explaining why Target had witnessed such a disastrous failure in Canada while the chain store continued to witness success in the American market. There is consensus among the experts that one of the apparent reasons that Target failed in the Canadian market was their failure to keep their shelves filled with the expected products. It had been an extreme challenge to establish a solid, working distribution mechanism that was able to properly allocate the products to over 100 stores. The distribution default had led to waves of client complaints over the lack of merchandise in the stores\ shelves. Another factor of the Target expansion failure had been the location of its newly bought stores. Having bought Zellers locations, many have criticized these spots as non-suitable settings for Target’s bigger space requirements. To add more complexity to the expansion process, Target had to renovate all of Zellers stores in a one year period. This task by itself needed tremendous work, time management and cost in order to meet the deadline for the chain to open its stores. The process ended up as an unfinished task, and yet still the stores had to be opened on time. A third element that had added pressure to the malfunctioning of Target stores in Canada was the high pricing competition from its competitors. Overestimation of the potential market, and the fact the stores’ products were not appealing to the customers, had been an additional pressuring factor on the chain’s already great running difficulties. 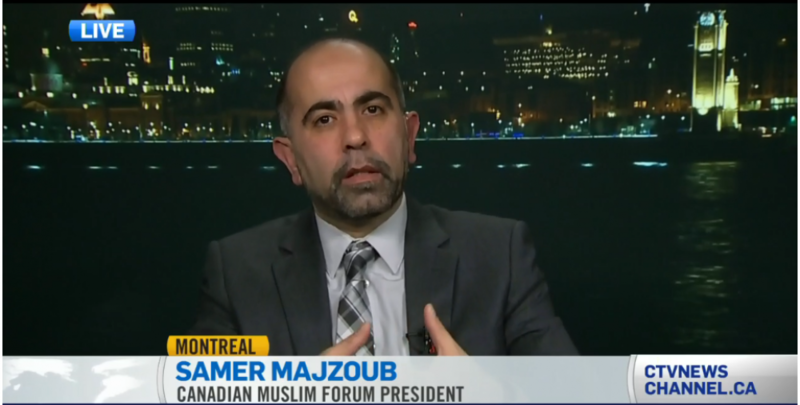 This entry was posted in article and tagged (FMC-CMF), Canadian Muslim Forum, economy, Forum Musulman Canadien, Islamphobia, Quebec Muslims, Samer Majzoub, The Rise And Fall Of The Megastore by samermajzoub. Bookmark the permalink.